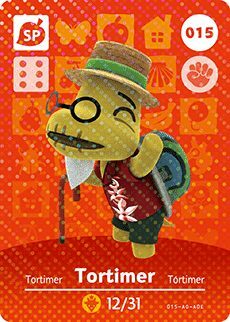 This old turtle was once the mayor of your town in Animal Crossing: New Leaf, but he recently retired to a tropical island. Shortly after the mayor purchases their first home from Tom Nook, Tortimer will visit and invite you to explore the island. His birthday falls on December 31st, meaning that his star sign is Capricorn.